The structure of the testicles was studied in adult rats in 120 days after a single intravenous injection of chitosan-modified (magnetic nanospheres) and lipid-modified (magnetoliposomes) nanosized magnetite particles. 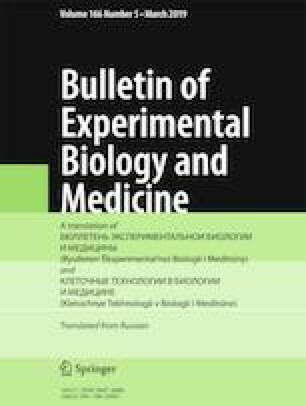 Perls histochemical reaction detected in the testicular interstitial connective tissue the cells which absorbed and accumulated magnetite nanoparticles. The dynamics of spermatogenesis index and the count of Perls+ cells in the rat testicles were traced throughout the experiment. The studied modified nanosized magnetite particles did not penetrate through the blood—testicle barrier in rats. Nasri S, Rezai-Zarchi S, Kerishchi P, Sadeghi S. The effect of iron oxide nanoparticles on sperm numbers and motility in male mice. Zahedan J. Res. Med. Sci. 2015;17. doi: https://doi.org/10.17795/zjrms-2185.